The global Energy Harvesting Equipment Market was valued at $372 million in 2017 and is anticipated to grow at a CAGR of 11.4% during the forecast period. Energy harvesting equipment is used for capture and conversion of small amounts of readily available energy in the environment into usable electrical energy. This energy can be used directly or stored for later use. Energy harvesting equipment is highly efficient at locations with no grid power. The energy captured through energy harvesting equipment is adequate for applications such as remote sensing, body implants, RFID, and other consumer devices. The growing need for energy efficiency, increasing energy costs, and rising adoption of green energy sources drive the growth of the market. There has been increasing adoption of power efficient energy systems with low maintenance, which further supports market growth. Stringent government regulations regarding energy use, and growing adoption of wireless sensor networks boost the adoption of Energy Harvesting Equipment. Other factors driving the market include supportive government regulations, increasing awareness, and technological advancements. Growing demand from emerging economies, rising demand for building and home automation, development of Big Data and IoT technologies, and increasing consumer awareness are factors expected to provide numerous growth opportunities in the coming years. The global Energy Harvesting Equipment market is segmented on the basis of technology, end-user, and region. Based on technology, the market is segmented into Thermoelectric Energy Harvesting, Piezoelectric Energy Harvesting, Electrodynamic Energy Harvesting, Photovoltaic Energy Harvesting, and others. The photovoltaic energy harvesting equipment is expected to grow at a significant rate during the forecast period owing to increasing awareness among consumers and growing use of solar energy. On the basis of end-user, the market is segmented into Defense, Commercial, Residential, Industrial, Transportation, Healthcare, and others. 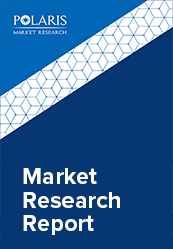 This report comprises a detailed geographic distribution of the market across North America, Europe, APAC and Latin America, and MEA. North America is further segmented into U.S., Canada, and Mexico. Europe is divided into Germany, UK, Italy, France, and Rest of Europe. Asia-Pacific is bifurcated into China, India, Japan, and Rest of Asia-Pacific. North America generated the highest revenue in the market in 2017, and is expected to lead the global market throughout the forecast period. The increasing awareness among consumers, and growing applications in buildings and home automation drive the market growth in the region. The leading players in the market include Fujitsu Limited, GreenPeak Technologies, ABB Limited, Texas Instruments Incorporated, Microchip Technology Inc., Siemens AG, Arveni SaS, Cymbet Corporation, Honeywell International Inc., and Enocean GmbH among others. These leading players in the market are introducing innovative products in the market to cater to the consumers. Global players are entering new markets in developing regions to expand their customer base and strengthen market presence.